This fall, Phillips Seafood is celebrating National Seafood Month by hosting a very special social media giveaway! 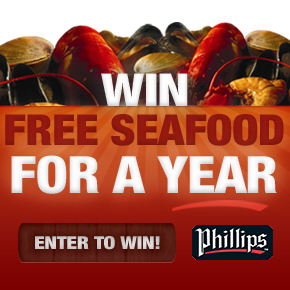 One lucky seafood lover will win their choice of a year of free seafood at their favorite Phillips Seafood restaurant OR a year of Phillips premium grocery products. Enter to win on Phillips Seafood’s official Facebook page now until Thursday, November 10. You can visit Phillips Seafood in Atlantic City, located on Level 3 of The Pier at Caesars and take advantage of some of their great specials like the $15 “Lunch Break”, half-price bottles of wine every Thursday, and $19.95 Surf & Turf meal! Or find them in Baltimore’s scenic Inner Harbor and try their $5 for 5 local Maryland oysters available three ways, live music lounge, and happy hour food and drink specials. You’ll Want a Pizza This! Last fall, Philadelphia based URBN Brands announced their partnership with Marc Vetri’s famous pizza chain, Pizzeria Vetri. Now the wait is finally over. Starting this month at the King of Prussia Mall, you will find a newly renovated 20,000 sq ft Urban Outfitters featuring Pizzeria Vetri! 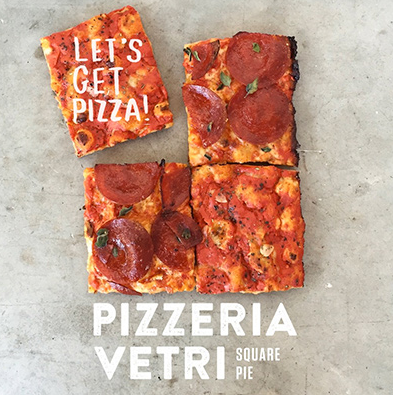 As the third Philadelphia location, Pizzeria Vetri KOP will specialize in the sale of the square pies or “pizza al taglio” – Vetri’s own take on a traditional Roman pizza. Given the fact that it’s National Pizza Month, this opening is ideal. In addition to this expansion, URBN Brands are opening a brand new Free People and Anthropologie stores, directly across from Urban. The Free People store will be a larger version of the previous KOP location and the Anthropologie store, reimagined as Anthropologie & Co., will be the largest in the country. Together, Free People and Anthro will take up 40,000 sq ft of the mall! All four URBN Brands stores combined will take up 60,000 sq ft. All stores will be open by the end of the month!